Meet the team who are in charge of processing, picking and packing your online orders (and up until recently, your Christmas presents!) 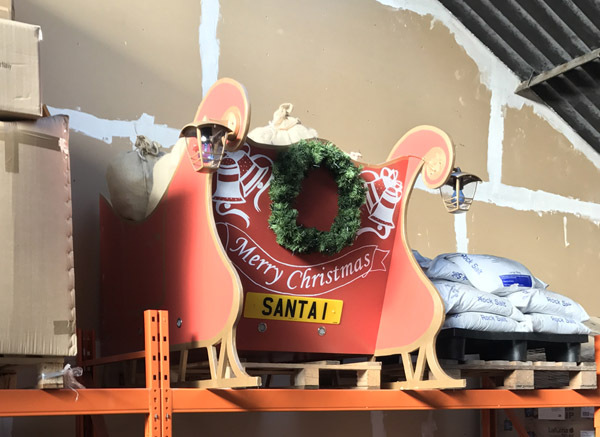 From 8am in the morning to 4.30pm at night the warehouse is constantly humming with energetic footsteps and the distinctive sound of parcel tape being stretched across sizeable packages. This section of the business is the one that is growing most rapidly – we even had to move warehouses in May 2016 as we became too big for our boots and outgrew our old warehouse! Month upon month our online presence intensifies, which means that we receive larger volumes of online orders and telephone orders than we’ve ever had before. Back in 2015 the number of customer orders increased by a staggering 40%. Today, on average the team pick and pack at least 300 parcels a day… Phew, that is a hefty figure! Craig started working at Philip Morris & Son back in 2006 as Saturday staff, then in 2010 he went on to work full time. Due to the rapid growth of the company we had to find a new site for dispatching our goods, this is when Craig was promoted to Warehouse Manager. His favourite part of the role is responsibility; Craig is responsible for all aspects of the warehouse, from Goods-In to managing 40,000+ annual online orders. In his spare time he enjoys being on the farm; in fact he spends most of his October harvesting cider apples! 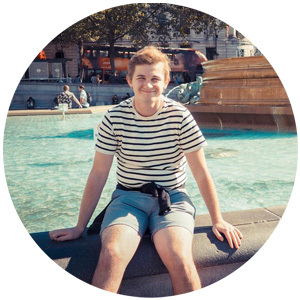 Matt began as an apprentice 3 years ago and gradually over time worked his way up to being a supervisor. His main role consists of processing, picking & packing customer orders, along with booking parcel deliveries. Matt’s valuable experience in the workplace has lead him to become second in command when the manager is away. His light-hearted, cheeky chappy wit always keeps the team upbeat during demanding times. Simon joined the Philip Morris and Son family in 2000. Simon has two main roles within the warehouse; he is the Company Van Driver and a Goods In Operative. His favourite part of the job is seeing the new stock lines arrive before they hit the shop floor. 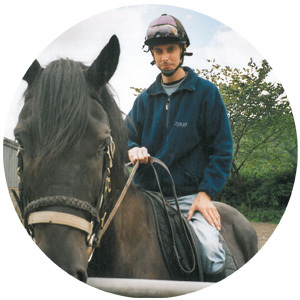 Outside of work Simon fills up his time with three great adventurous hobbies, (which are significantly different to one another! ), one is motor cycle touring, the second is cross Wales horse riding, and the third is potholing. 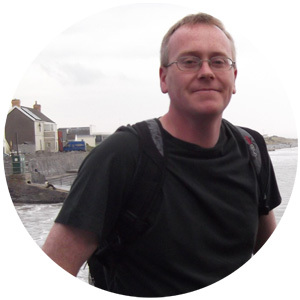 Simon is a returning member of staff; he first started working at Philip Morris and Son back in 1988 when he was studying full time electronics at college. In 2012 he moved away to the States where he worked with Amazon in their warehousing facilities, picking and packing customer orders. In his spare time Simon loves kicking back and watching F1, listening to music on his high audio equipment and playing ping-pong. Josh joined Philip Morris in June 2016 as an apprentice. 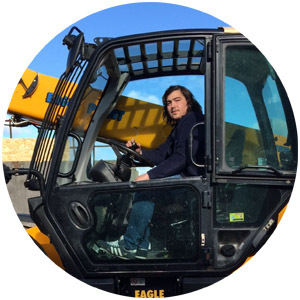 On completion of his course he became a fully qualified Warehouse Operative. 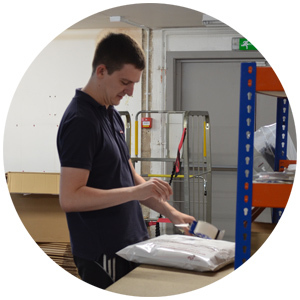 Josh’s main roles consist of picking and processing orders for our online customers. If Josh isn’t in the football stadium cheering on his favourite team (Leeds United), you can find him taking a shot at one of the local pool tables, as he spends his Thursday nights playing for the Hereford Charity Pool League. Apprenticeship, Business, Goods In, Goods Out, hereford, Herefordshire, Meet The Team, Philip Morris, Philip Morris And Son, Warehouse. Bookmark.